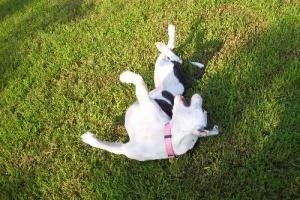 Dogtime salutes Arkansas’s Gentle Souls Pit Bull Rescue. Anne Thomason, the founder, volunteered for kill shelters and fell in love with pit bulls. To rescue pit bulls and pit bull mixes, get them vetted, and adopt them out to appropriate homes. We are also strong advocates for the breed and against BSL (breed specific legislation). 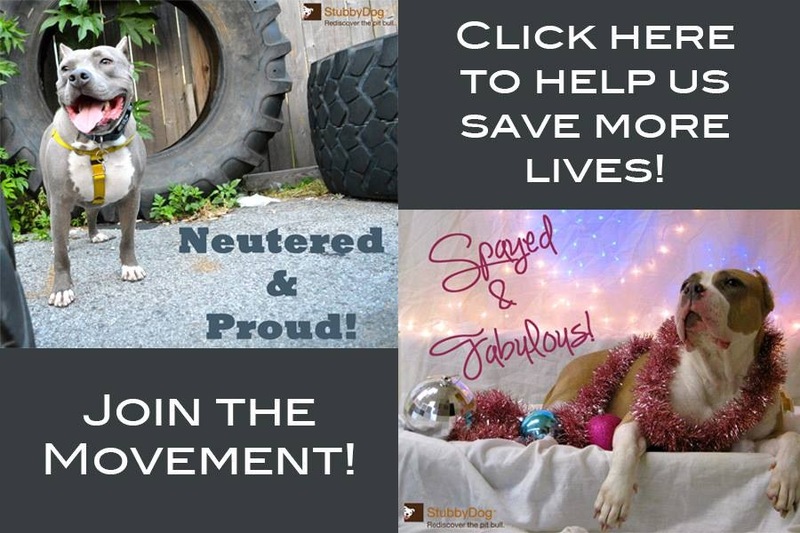 We want to educate the public on what terrific dogs pit bulls can be! We also rescue cats. We rescue most of our animals out of kill shelters. They are sterilized, brought up to date on shots, given any medical care that they need, and adopted out. Roxie was the most compelling story we had. She was rescued by a lady here in Little Rock, the lady found her on the side of the road. She put her in boarding and spent thousands on getting her better (she was missing patches of hair, the first suspected cause was "road rash"). 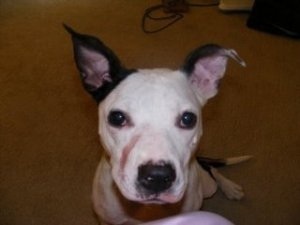 The rescuer, Lauren, was running out of money and due to Little Rock’s BSL, she was unable to keep her. She called us. My mom had just adopted out her foster, Zanie, and after she heard Roxie’s story, she agreed to take her in. Roxie is extremely timid, she is scared of new people but for some reason she instantly took up with my mom. We took Roxie to mom’s vet in Harrison to get a check up on her "burns" as well as his opinion on what happened. My mom’s vet believes that Roxie had battery acid poured on her. Roxie has both physical and emotional scars but due to a network of good people, she is now in a loving foster home. We hope that Roxie can find a terrific forever home, but we all know the chances are not great since she is so terrified of people. She thrives at mom’s and we are both OK with the fact that Roxie might be a permanent resident. You can see the scar on her face in her picture, they will always be there. We don’t know what happened to her before, but we all hope that whoever did this to her gets what is coming to them.